It is a collection of short walls that often follow the crest of hills on the southern edge of the Mongolian plain. The Great Wall of China, extends about 8,850 kilometers (5,500 miles). 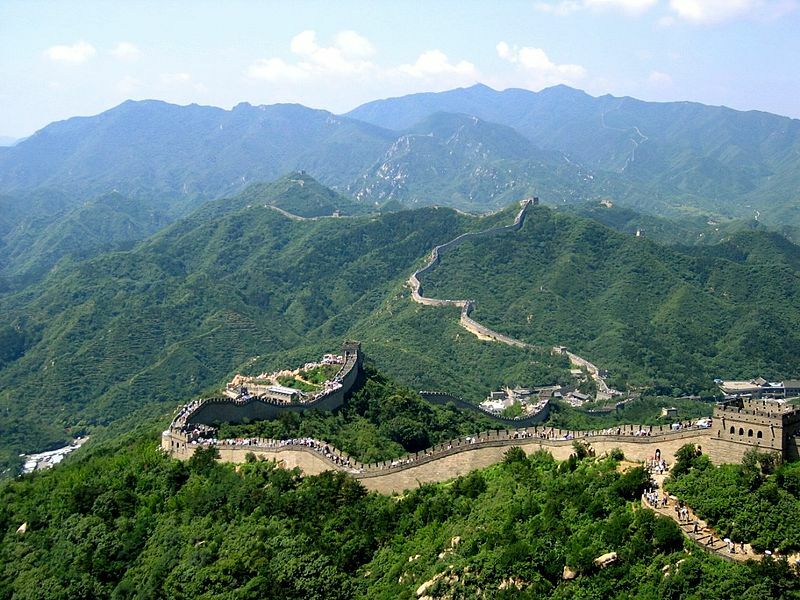 A first set of walls, designed to keep Mongol nomads out of China, were built of earth and stones in wood frames during the Qin Dynasty (221-206 BCE). Some additions and modifications were made to these simple walls over the next millennium but the major construction of the "modern" walls began in the Ming Dynasty (1388-1644 CE). Through Western contact with China from the 17th through 20th centuries, the legend of the Great Wall of China grew along with tourism to the wall. Restoration and rebuilding took place in the 20th century and in 1987 the Great Wall of China was made a World Heritage Site. Today, a portion of the Great Wall of China about 50 miles (80 km) from Beijing receives thousands of tourists each day. 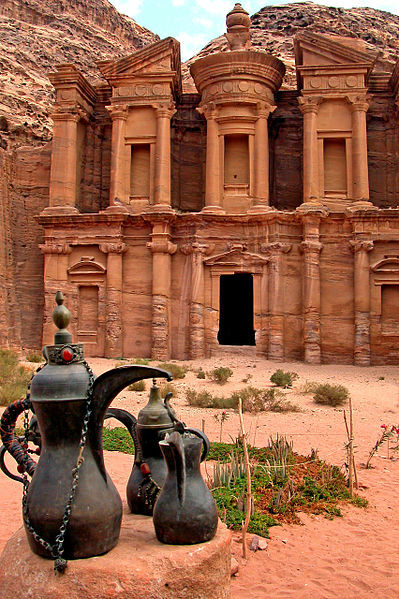 Petra was discovered in 1812 after being lost by the 16th century for almost 300 years. Located in the foothills of Wadi Rum desert, near the Dead Sea, in a canyon that collects water from the mountains of Petra, the Nabataeans, an ancient tribe that flourished in the sixth century, but which data are available from 3 centuries before Christ, were able to create a network of pipes and water pipes in a thirsty land, to attract their city to the caravans coming to Mecca or returning from the silk Road in Asia. The Petra basin boasts over 800 individual monuments, including buildings, tombs, baths, funerary halls, temples, arched gateways, and colonnaded streets, that were mostly carved from the kaleidoscopic sandstone by the technical and artistic genius of its inhabitants. It was declared a World Heritage Site by UNESCO in 1985, and now is one of The New 7 Wonders of the World that enchants visitors from all corners of the globe. The statue of Christ the Redeemer is located at the top of Corcovado Mountain, This is a statue of Jesus Christ in Rio de Janeiro, Brazil and it is considered as the largest Art Deco statue in the world. Moreover it is also the 5th largest statue of Jesus in the world. It is 39.6 meters tall, including its 9.5 meters pedestal, and 30 meters wide. It weighs 635 tonnes, and is located at the peak of the 700-meter (2,300 ft) Corcovado mountain in the Tijuca Forest National Park overlooking the city. A symbol of Brazilian Christianity, the statue has become an icon of Rio de Janeiro and Brazil. The statue of Christ the Redeemer has the capacity to hold 360 passengers every hour. The trip by rail is approximately 20 minutes and leaves the base each half hour. From the road or the train terminal Christ the Redeemer statue is reached by 222 steps. For those not wishing to make the arduous trek up the mountain, reaching the statue is possible by escalators and elevators. It is one of the tourist attractions that every year attracts to more and more visitors. The best time to visit the Christ the Redeemer statue is late afternoon or evening. Machu Picchu is in the midst of steep mountains and is flanked by the deep canyon formed by the Urubamba River as it passes through this part of the basin of Vilcanota. The citadel of Machu Picchu is situated at 2.360 m , The landscape is shaped by a series of hills and steep mountains, with nearly vertical slopes and deep, narrow gorges where rivers are sound and turbulent waters. 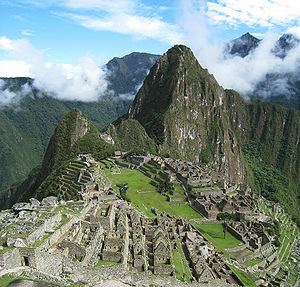 Machu Picchu was rediscovered by the American archaeologist Hiram Bingham in 1911. Through the years, scientists and archaeologists have made many studies and investigations about Machu Picchu to find out the mysterious that this sanctuary has. Declared as one of the New Seven Wonders of the Modern World on July 7th, 2007, this majestic Sanctuary belongs to the List of World Heritage of Unesco since 1983. Machu Picchu is one of the most representative touristic attractions of Peru, regarded as a masterpiece of architecture and engineering. This is one of the reasons that many tourists travel to Peru and take a Machu Picchu tour; most of the travelers have a second chance to visit the ruins. Many travelers around the world come to visit these fantastic ruins at the top of the mountain and are impressed by the beauty that surrounds it, because its ecosystem is home of flora and fauna such as its beautiful variety of orchids and animals that some of them are in danger of extinction. Chichen Itza is fantastic and majestic ruins are one of the most famous and best restored Mayan sites and have been elected as one Mexico’s 29 UNESCO Heritage sites. Chichen Itza was one of the largest Maya cities and it was likely to have been one of the mythical great cities, it was worshiped the great Kukulcan is the Mayan representation of Quetzalcoatl, the plumed serpent. 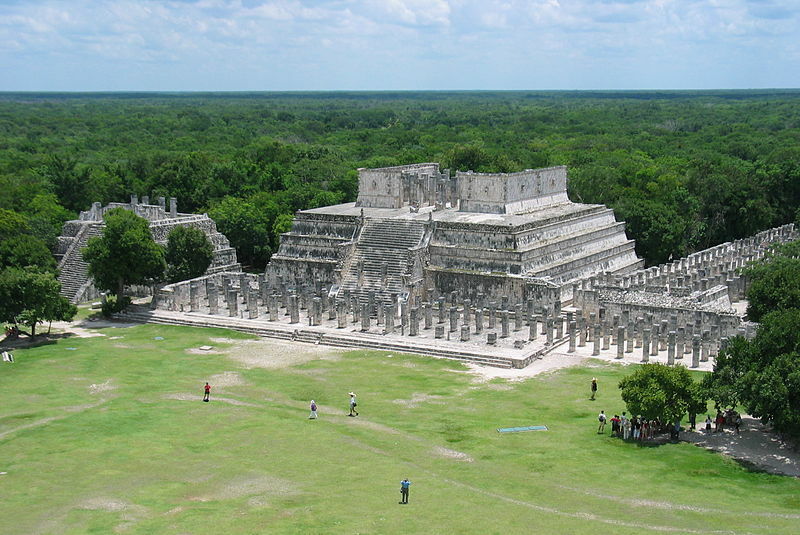 Indeed there is a landmark building called Kukulcan or Castle which is located in the center of the square, weighted as the place of rituals and central to the religious and political power. But there are other buildings worthy of photographing as the Observatory, the Temple of the Warriors, the famed ball game and the Building of a Thousand Columns. Chichén Itzá receives each March 21 to more than 70,000 visitors, who admire absorbed the projection of the snake, according to Mayan predictions represents the descent of the great Kukulcan. According to Mayan cosmology, the arrival of this god is the signal that sets the pace for the people and good weather for harvest, but if that day is cloudy or rainy predicted bad times and even disaster for the region. In July 2007 was integrated into the list of the Seven Wonders of the ancient world. Throughout the cosmogony and impressive building, Chichen Itza amazes any traveler seeking the secrets of ancient Mexico. 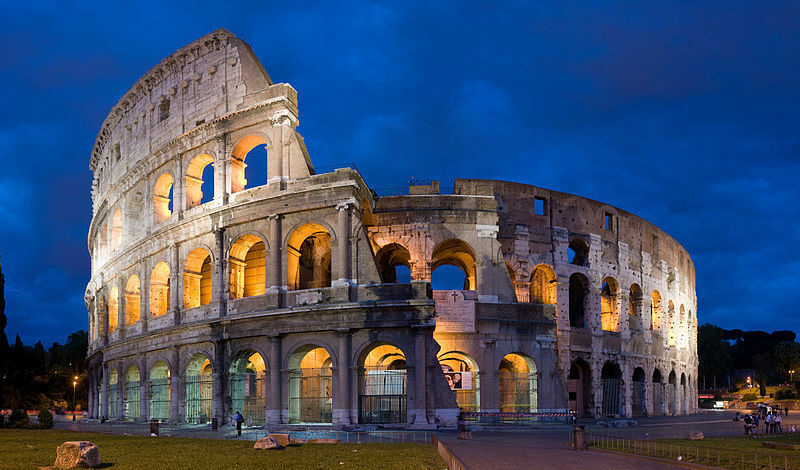 The Roman Coliseum is a monumental building located in the city of Rome in Italy. His real name was the Flavian Amphitheater, however, is known as the Coliseum by the colossal statue of Nero that was nearby. The Coliseum is clearly the image of the city of Rome, representing also the greatness of the Roman Empire and its art. This building began to be built in 72 AD and was opened six years later during the reign of Emperor Titus. In the beginning it was a huge amphitheater that housed more than 109,000 spectators, however, throughout its history suffered several modifications and extensions. The Coliseum has the enormous measures 188 meters and 156 meters larger radius of smaller radius, thereby constituting an elliptical plant, while its height reaches 57 meters. Inside, under the steps, the Coliseum has long corridors that allow attendees to enter and exit easily. Also, the boxes had a waiting room and were used according to the social position of the viewer. With the decline of the Roman Empire, the Coliseum was not further use, as it became the property of the Church in the days of Gregory I. Due to the passage of time and neglect, some of it was lost. Today it is possible to visit the Colosseum and learn important part of the original structure, which has become a major tourist attraction in the area, many People travel to Italy and take a tour to the Roman colosseun. Today, lit from within on a Roman night, the Colosseum never fails to make visitors catch their breath: it is still recognisably the building started nearly 2,000 years ago to entertain the Roman public. 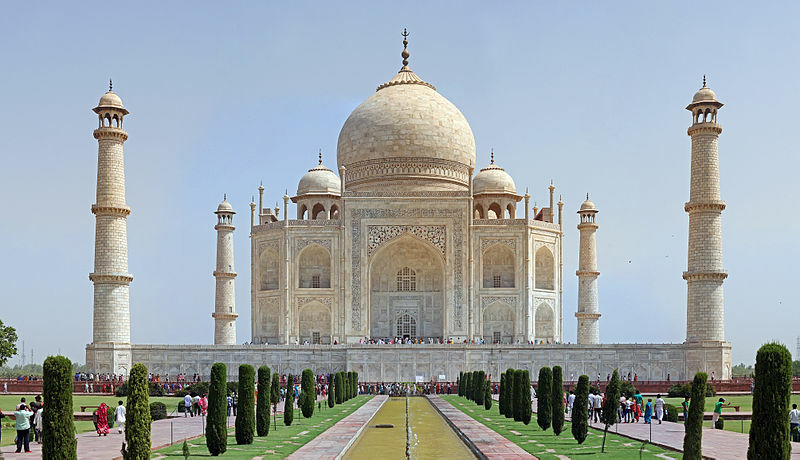 The Taj Mahal is a monument located in the city of Agra in northern India. This monument was built between 1631 to 1653 by the Muslim emperor Shah Jahan, who conceived it as a mausoleum for his favorite wife, Arjumand Bano Begum, better known as Mumtaz Mahal. One of the remarkable aspects of this work is its combination of architectural styles including Indian influences, Islamic, and Persian. Standing majestically on the banks of River Yamuna, the Taj Mahal is synonymous to love and romance. It is believed that the name "Taj Mahal" was derived from the name of Shah Jahan's wife, Mumtaz Mahal and means "Crown Palace".